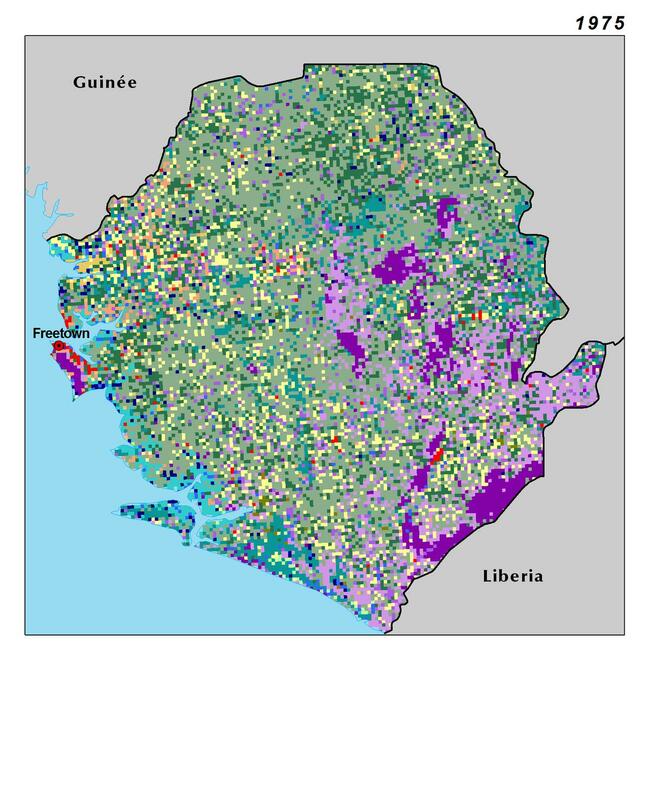 Sierra Leone is divided into four main regions. 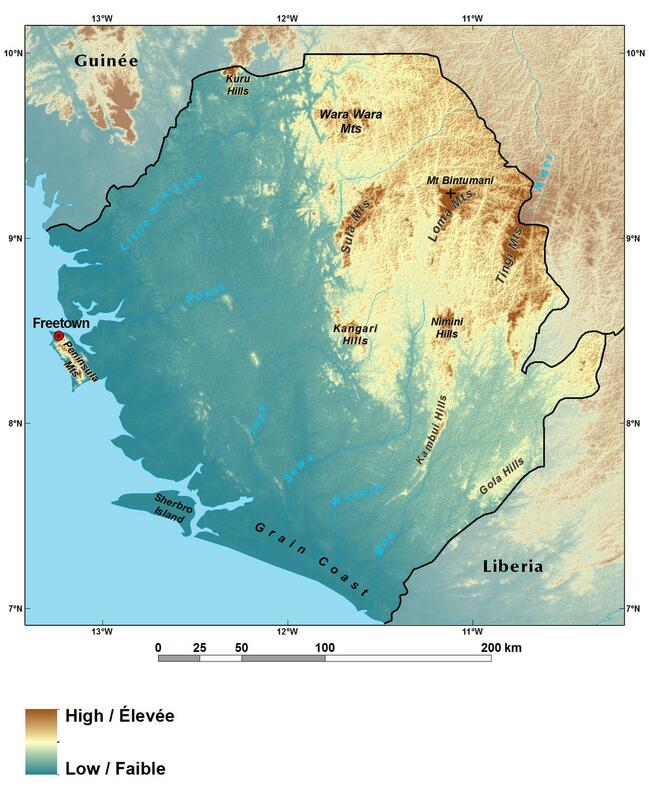 In the east and the north, the Koinadugu and Kono Plateaus (KKP) ecoregion is an extension of the Guinea Highlands with several isolated mountains including the Tingi Hills, and the Loma Mountains where Mount Bintumani reaches 1,948 m. The plateau is mostly covered by a mosaic of woodland and savannas, interspersed with cropland. The high mountains of the Montane Forest Zone (MFZ) are dominated by tropical rain forests, often protected as forest reserve or national park. The northern part of the Koinadugu and Kono Plateaus (KKP) receives relatively less rainfall, often resulting in less dense and lower canopy height, even among mature stands of woodland (Munro and van der Horst, 2012). Parallel to the coastline, but inland of the coastal belt, are the Interior Plains (IP). This ecoregion of lowland plains, containing forest regrowth, woodland, savannas, and farmland, makes up about half of the country. Adjacent to the Atlantic shoreline are the Coastal Plains (CP) and the Mangrove Forest (MF) zones. The Gabro massif, confined to the Western Area Peninsula (WAP) where the capital city of Freetown is located, rises impressively from 200 m to 1,000 m above the low-lying narrow coastal area.